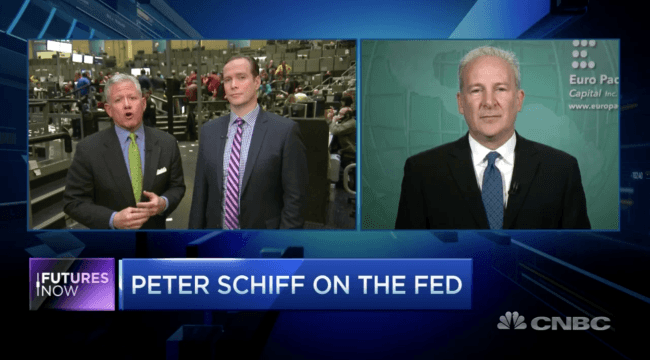 Peter Schiff is an American entrepreneur, author and financial commentator. Schiff is CEO and chief global strategist of Euro Pacific Capital Inc., a broker-dealer based in Westport, Connecticut, as well as founder and Chairman of SchiffGold, a precious metals dealer based in Manhattan. He is also the author of Crash Proof 2.0: How to Profit From the Economic Collapse and How an Economy Grows and Why It Crashes, among others.